Hey, are you tired of leaving your small pets at home when you are out and about? Could you use a little more quality time with your gerbils, mice, hamsters or snakes? Well now your dreams have come true with the Gerbil Shirt! 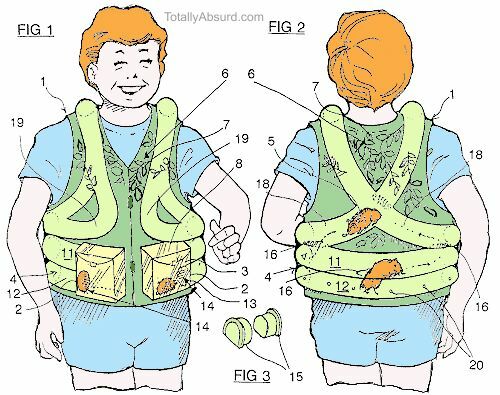 The Gerbil Shirt wraps your torso in plastic tube passageways, making your bod a super highway of fun for Binky and Bart. The interior surfaces are textured for traction and have air vents for easy breathing. The inventor suggests you can clean the Gerbil Shirt by attaching it to a faucet (remove pets first please), and you should avoid collisions and falls that could cause pet panic. We give two thumbs up to this living fashion accessory and we can't wait to see the toy poodle version!